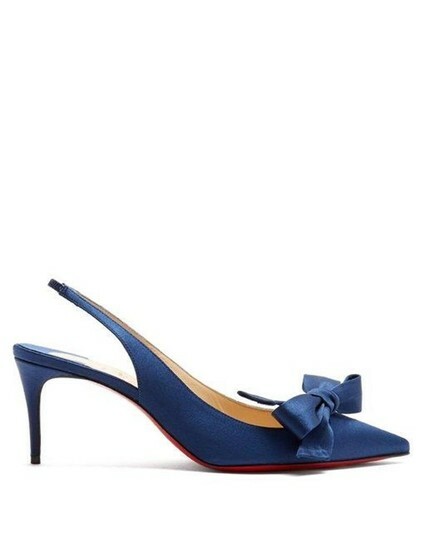 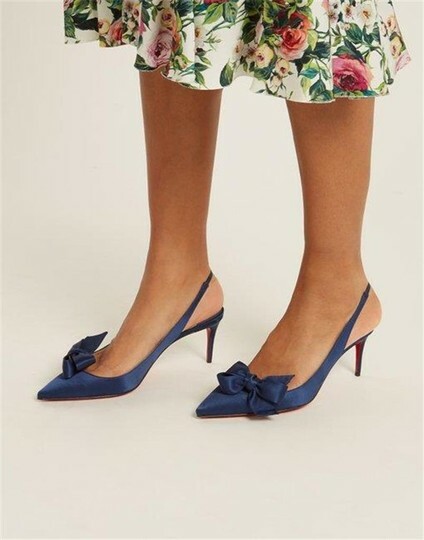 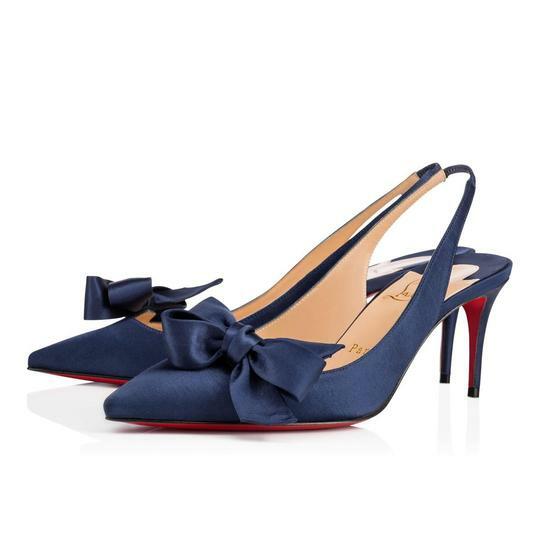 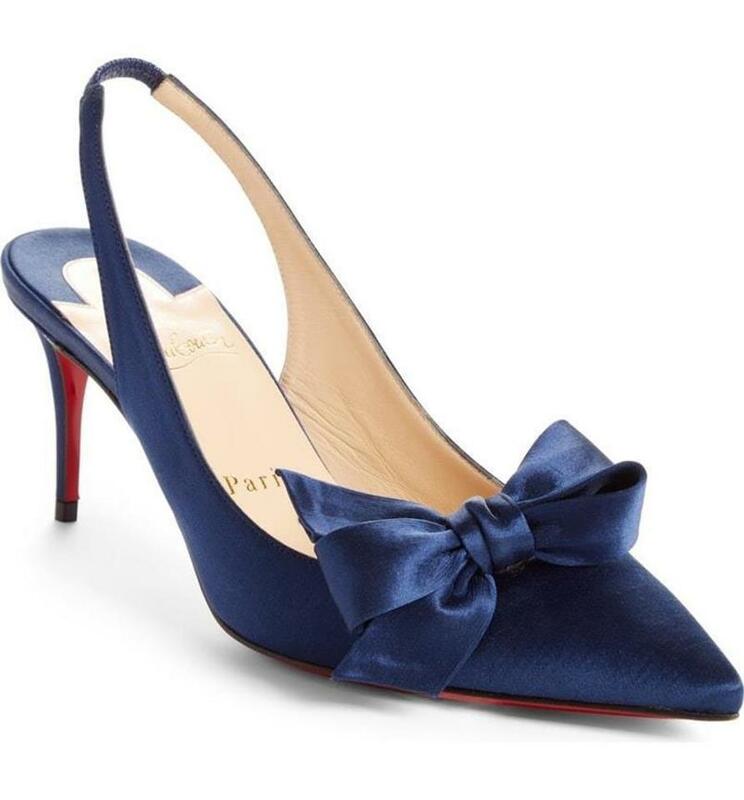 A perfectly dimpled bow angles pertly along the daringly low topline of a slingback pump clad in pure silk. 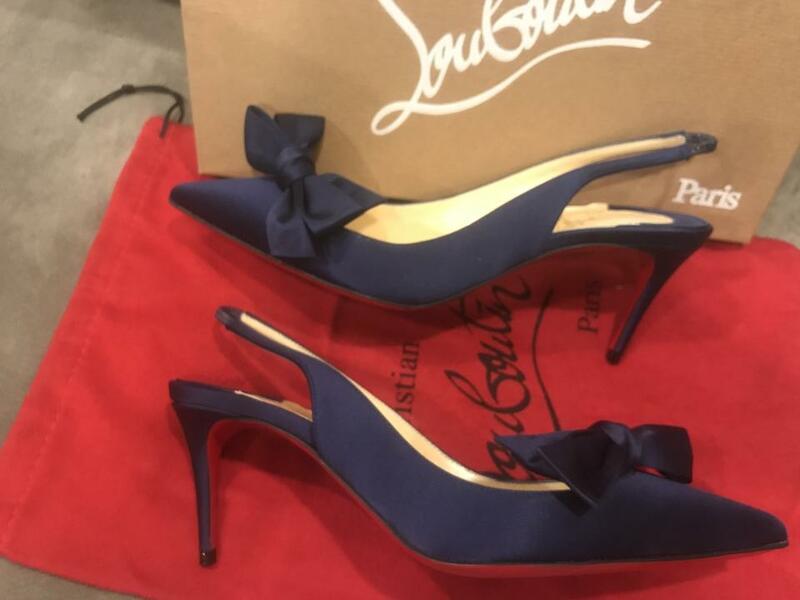 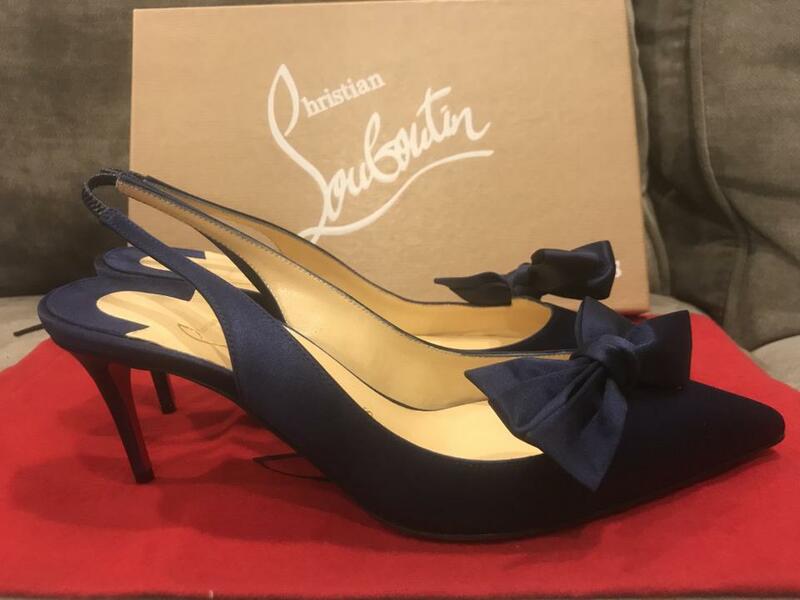 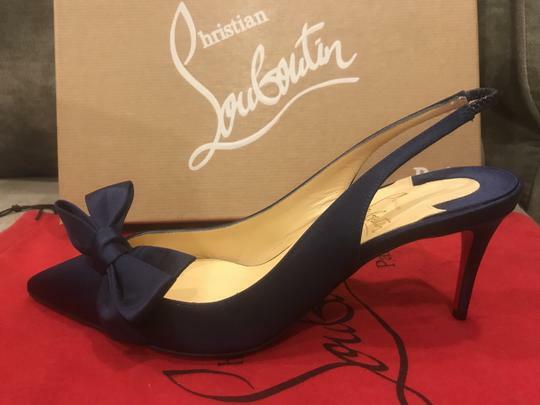 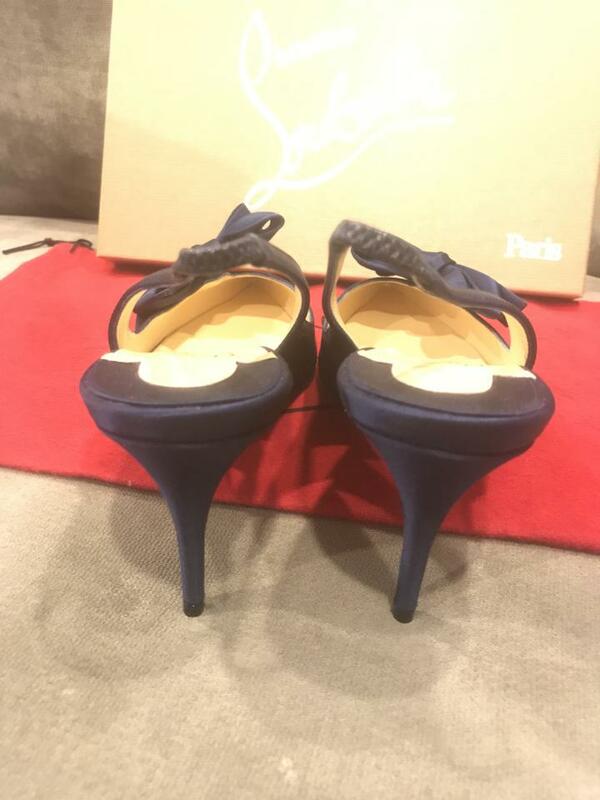 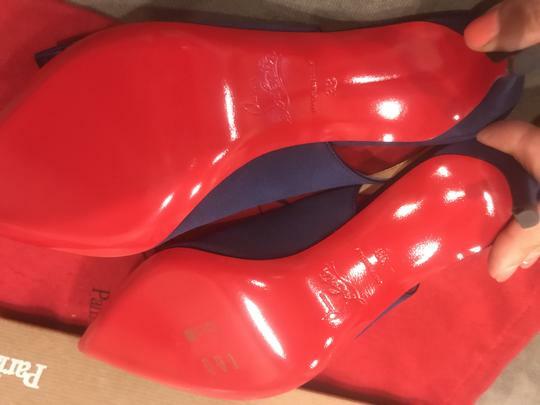 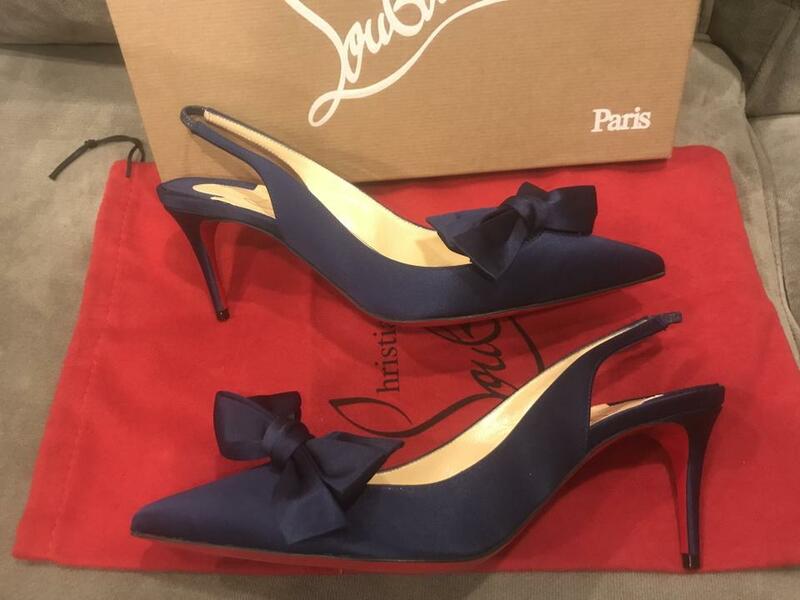 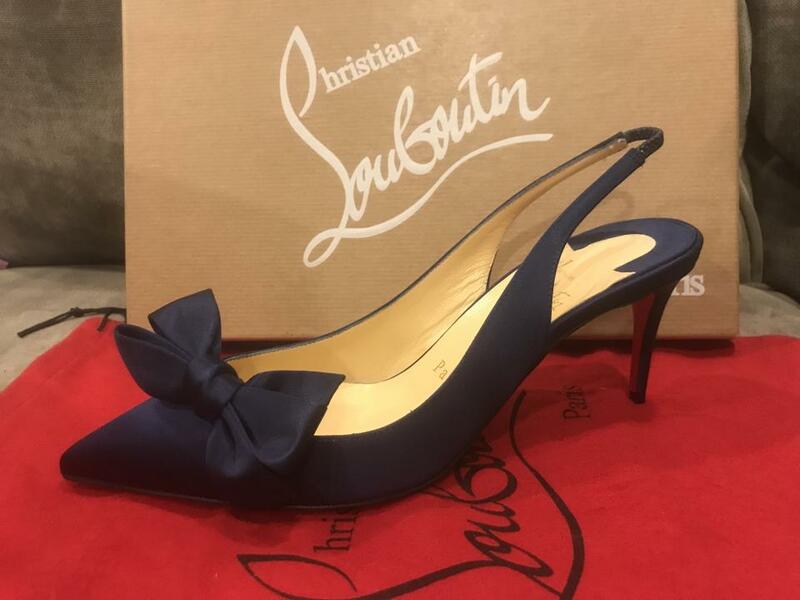 Christian Louboutin's iconic red sole adds a signature pop of color with every step you take. 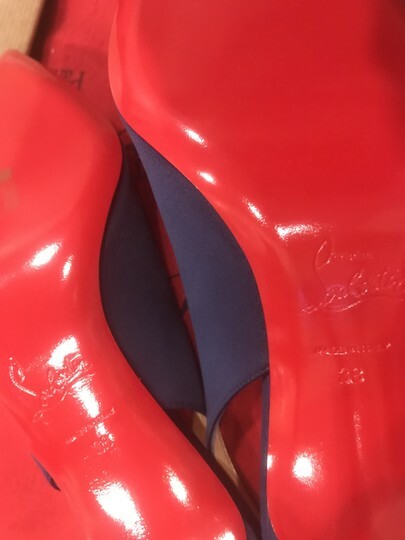 SIZE: 38 EU (Insole measures 10", Heel: 2.5").